Reference in contemporary art, being recognized by the specialized press as one of the main art events on the international circuit, in 2018 the Curitiba Biennial completes 25 years. In celebration, from October 18 to December 31 of 2018 an especial edition will happen, with a main exhibition to take place at Oscar Niemeyer Museum- MON. Besides the main exhibition, other cultural centers and public spaces of the city will be involved with parallel programs, urban interventions and exhibits in galleries and museums. On this edition, there will an intervention on the buses of the Integrated System of Transport and Terminals, with video art exhibitions, bringing art closer to the day-to-day of curitibanos. The exhibitions of this editions will present retrospectives from highlighted artists that had been in past Biennial editions and will have curatorship of Tício Escobar. Tício Escobar was a curator at Chile Triennial, Valencia Biennial (Spain), Mercosur Biennial, Venice Biennial and curator/founder, alongside Miguel Briante from Argentine, of the Curitiba Biennial, in 1993. Program- The program done by the Curitiba Biennial takes over many spaces of the city, among them museums, galleries, cultural spaces and public spaces, engaging all the city in this huge program. For that reason, the event aims to bestow the city with one more cutout of the world’s contemporary art, as a way to reminisce the Biennial’s history. Biennial’s Historic- Curitiba International Biennial of Contemporary Art was born in 1993. In 1997, it began its itinerary activities through different states of Brazil and countries of Latin America, work that it keeps to this day. In 2007, 14 years later, the first theme edition was done, with works relates to “Urban Narratives”, and diversified its program, including performances and urban interferences, art movies exhibitions, courses and roundtables about contemporary art. In the years of 2009 and 2011 the Curitiba Biennial created programs and educational circuits, with the intent to democratize the access to culture and to contemporary art. In 2013, when it completed 20 years of activity, it was consecrated as one of the most important contemporary art events in the global circuit: renowned artists from Brazil and all over the world participated on this edition, providing great success of public that year. In 2015, the exhibitions prioritized the art that goes to the streets, transforming Curitiba in one big open sky gallery, with urban interventions and artistic performances all over the city. Since 2007, the Curitiba Biennial includes audiovisual and literary activities in its program and from this initiative was born the Curitiba Biennial International Film Festival and the Literary Curitiba, which integrate the Curitiba Biennial’s program annually. Besides doing contemporary art exhibitions, cinema and literature, the Curitiba Biennial also organizes annual circuits and parallel programs, with the intent to expand and solidify its local ties. 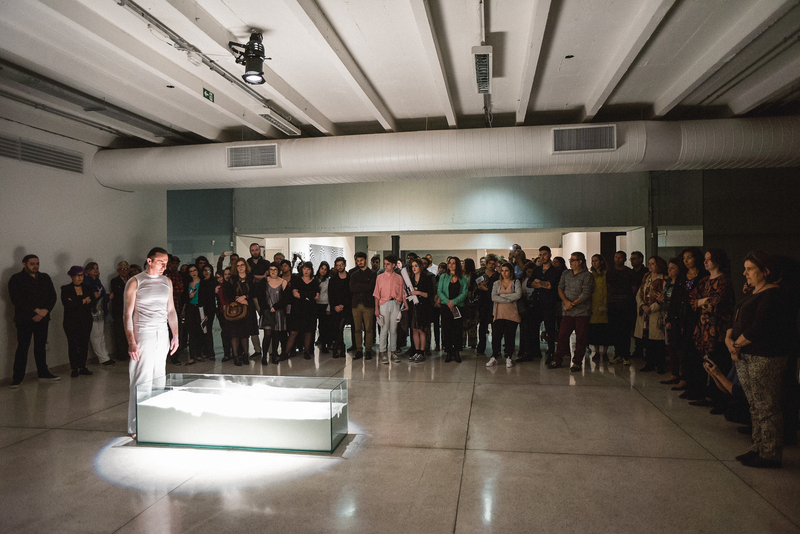 They are: Museums Circuit, Galleries Circuit, Ateliers Circuit and University Circuit of the Curitiba Biennial- CUBIC. In the 2017 edition, the Curitiba Biennial had the title of “Antipodes- Diverse and Reverse” and had the highlighted participation of China as honored country, presenting 62 renowned Chinese artists and becoming the biggest Chinese contemporary art exhibition to have been presented in Latin America. Besides the more than 60 artists from China, the public could check works and performances of artists from the five continents. The 2017 edition had more than 1 million visitors from Brazil and the world in the more than a hundred spaces taken over by Curitiba Biennial and in other cities of Paraná, Santa Catarina, Argentina and Uruguay. Realization: Curitiba Cultural Foundation, Curitiba City Hall, Oscar Niemeyer Museum, Paraná Government State Department of Culture, Federal Government Ministry of Culture.